Tonight's Walk With Me premiere was in Hong Kong. 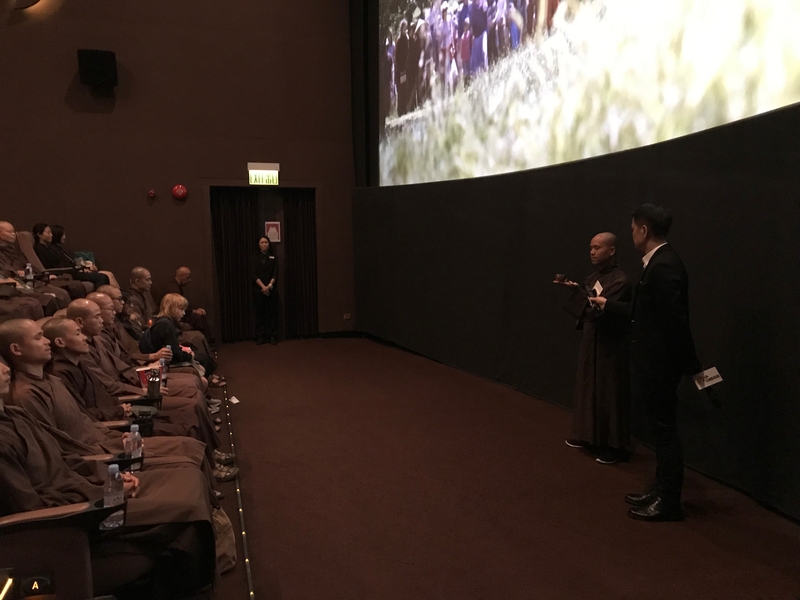 The distributor had lined up four hours of back-to-back interviews with newspapers, magazines, bloggers and the journalists interviewed co-director Max Pugh and Brother Phap Huu, both of whom had flown in from France to present the film. When the screening time came the cinema lobby filled with photographers and guests. The atmosphere was electric from the outset with many Hong Kong VIPs present and the cinema was full to capacity. There was an introduction from the film's distributor, the director and then Brother Phap Huu began the film with three sounds of the bell to encourage the audience to calm their minds, come back to themselves and be ready to enjoy the movie. The next premiere is in LA on 9th September, so please check in here for news of that next week!